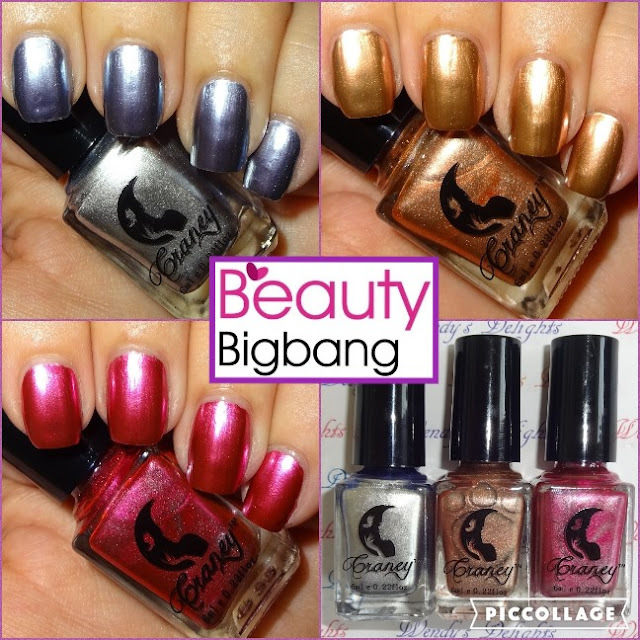 Here are three striking metallic nail polishes which I'm going to show you today from Beauty Bigbang. Three gorgeous chrome effect nail polishes in blue, bronze & pink. Each bottle comes with a base coat and they are 6ml. I applied two layers of base coat to give a smooth finish to my nails and then applied two layers of polish. As the polish dries the brush strokes disappear and the chrome effect appears.